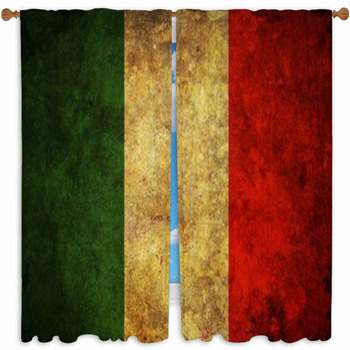 Create the drama and flair of Italy in your home or business with our Italian style window curtains. 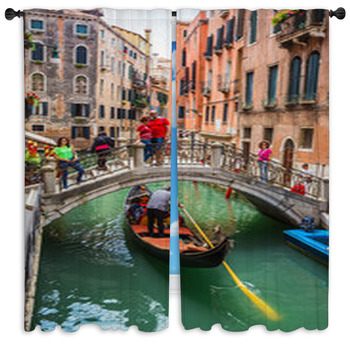 Our gorgeous custom size curtains will look amazing with your coordinating valance. 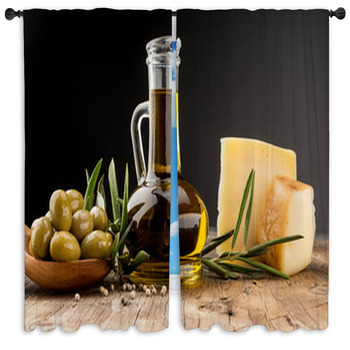 Whether you want to reflect your Italian heritage in your home or just love everything Italian, you'll love these gorgeous drapes. 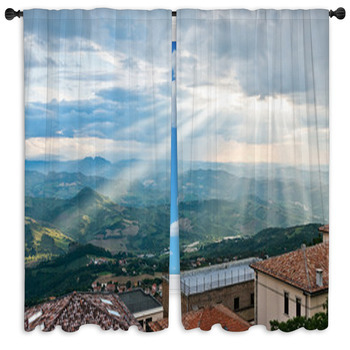 Choose from a huge selection of Italian landscapes, views, and iconic landmarks. Maybe you love the canals of Venice or the antiquities of Rome, like the Coliseum. 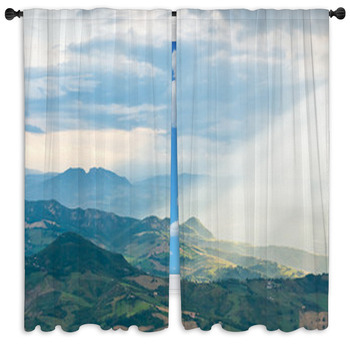 Create a work of art in your home with drapes of these unforgettable places. 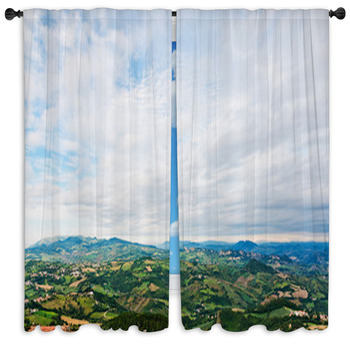 From the bucolic beauty of Tuscany to ancient Florentine piazzas, you'll find inspiring custom curtains that reflect your personal style. The vineyards of Tuscany feature some of the most amazing wines in the world. 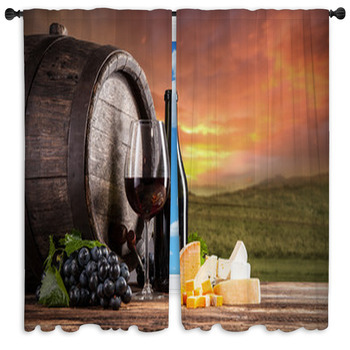 If you are a wine connoisseur, consider our drapes featuring the fruit of the vine. From stunning bright green vineyards to deep burgundy grapes to neatly stacked casks, you'll love the elements of the winemaking process. We have window curtains featuring the final product, too! Even if you never visit Italy, you can be an aficionado of the food. 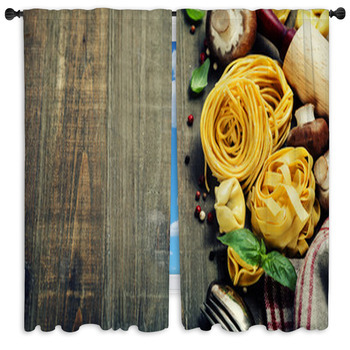 From elegant line drawings of garlic, tomatoes, onions, and more to scenes of the tantalizing pastas and pizzas, you'll find drapes that showcase your favorite Italian meals. 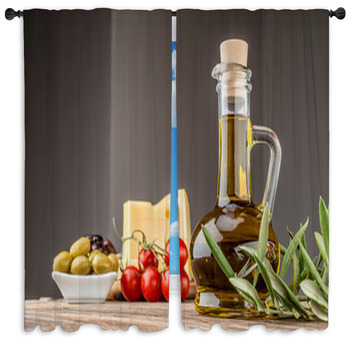 Our Italian-themed curtains feature other motifs as well, such as elegant violins, cute Italian cars, famous artworks, the ever-popular Italian motor scooter and more.  You'll enjoy browsing through all the amazing choices. 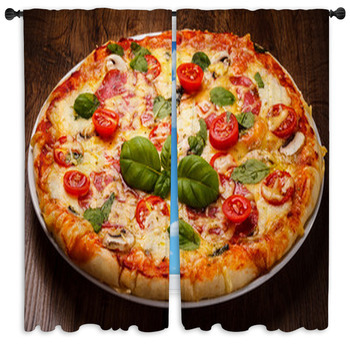 Don't forget that we have addition home decor in great Italian-style themes. 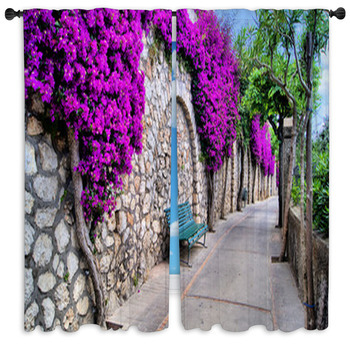 Choose from coordinating wall murals, blankets, bedding, shower curtains, pillows and more!.